The Most Dangerous Writing App is a web based applications for writing a rough draft. 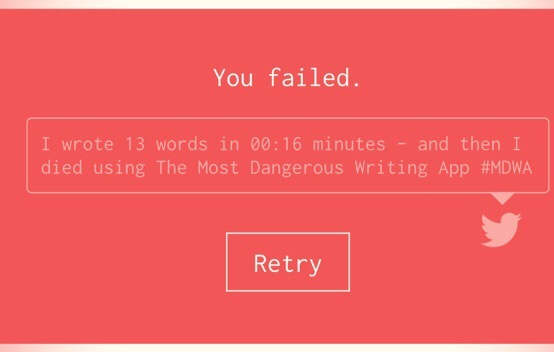 What sets it apart from other writing apps is the fact that if you stop writing for more than 5 seconds, everything is deleted. Using the app is simple, select a time limit for the writing session and hit start. There are also some useful statistics such as word count and words per minute calculated when you’re finished writing. Who’s tough enough to use it?